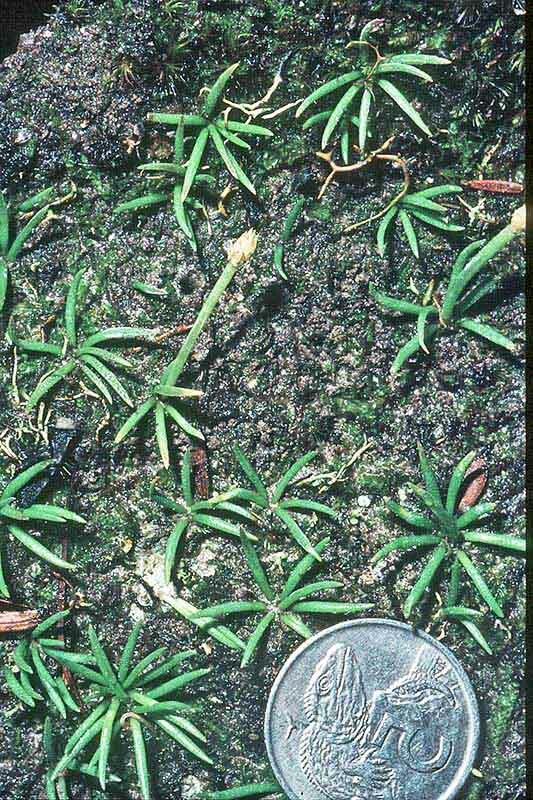 Phylloglossum drummondii is a small plant with an underground tuber that produces basal clusters of grass-like sterile leaves annually. 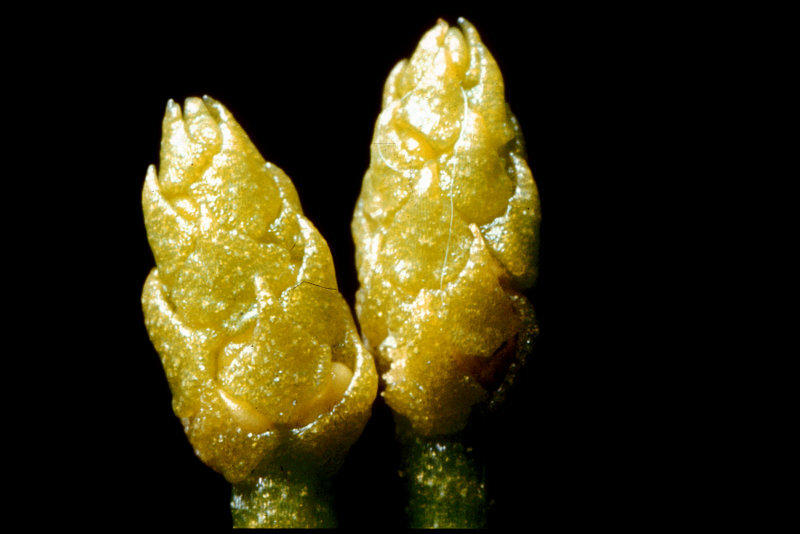 A yellowish cone is formed at the tip of an erect stem. 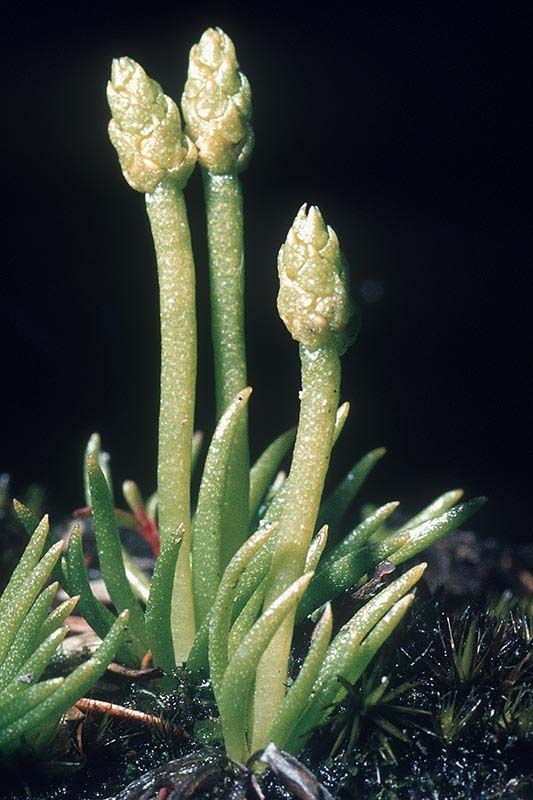 A genus with only one species restricted to New Zealand and Australia. 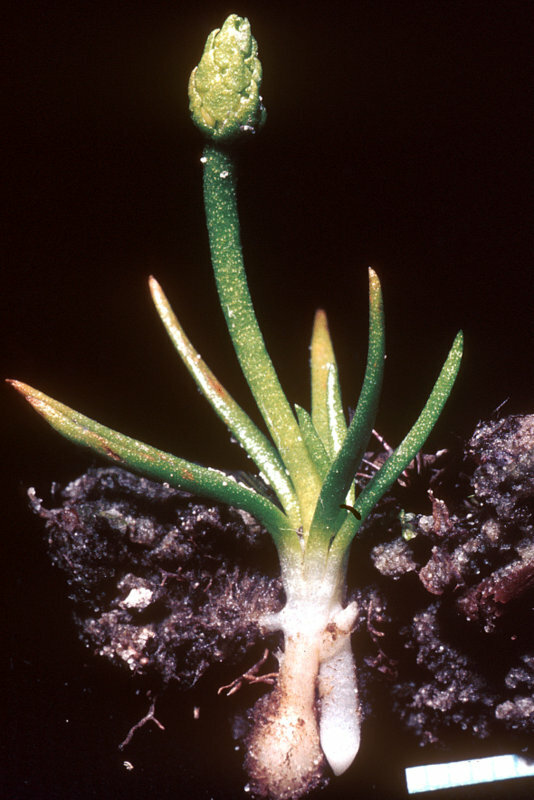 Found throughout the North and South islands in coastal to lowland locations.